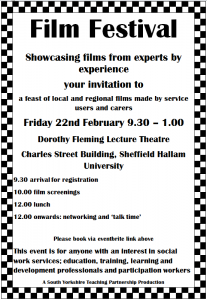 South Yorkshire Teaching Partnership are proud to be hosting a Film Festival dedicated to showcasing films from experts by experience – children, young people and adults. 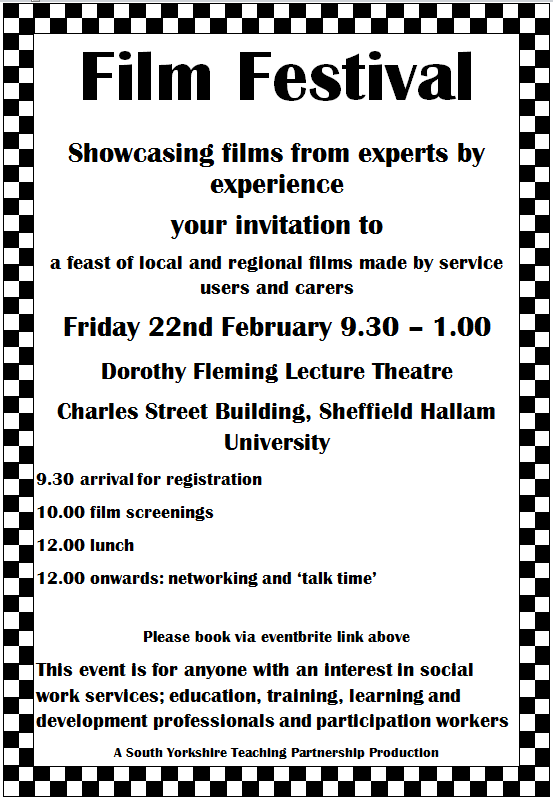 They are screening films designed to inform, challenge and inspire positioned within the world of social care or with transferable messages. They will showcase films designed to impact on face to face interventions or on the development and delivery of services as a whole.